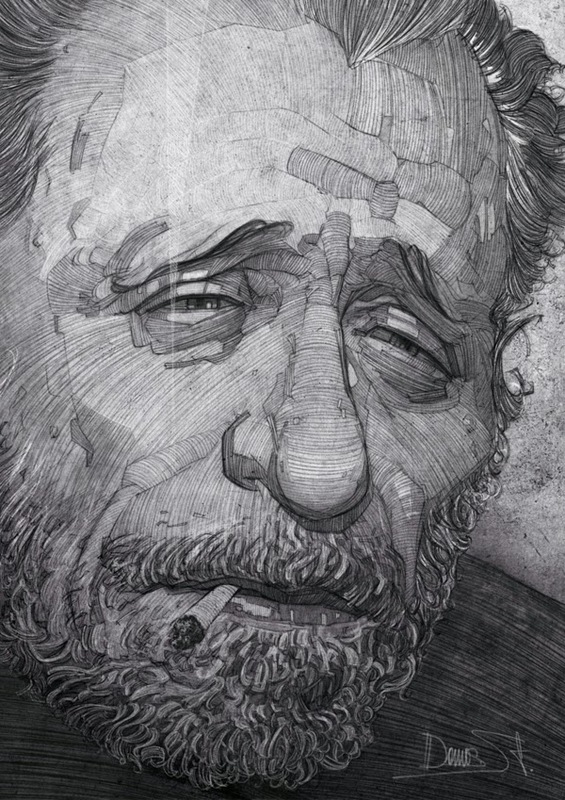 The brilliant poet-writer-novelist that was Charles Bukowski. The even more brilliant depiction of him by Stavros Damos... A friend once showed me a poem by Charles Bukowski; "Bluebird". The friend was explaining the emotions he was hiding from other people. The poem was the first thing that occured to me when I saw this drawing... The pain that the poet must have been going through... The burden of having to hide his true feelings. Sad eyes.... Those sad eyes.... How many people have felt the same way that he was feeling when he wrote "Bluebird"? How many people have bluebirds of their own? View more of his works via his Behance, here.